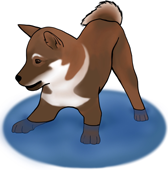 The Shikoku Ken is a primitive hunting dog from the Japanese island of Shikoku. Bred to hunt deer and boar in remote areas of the Shikoku mountains, this tenacious and agile dog thrives with plenty of activity. When indoors, the Shikoku displays the calm reserve characteristic of the Japanese breeds. They have a strong sense of loyalty and will form a close bond with their family. Akitsu Shikoku Ken is a small kennel focused on raising puppies in a home environment. Our dogs are primarily located on Sanibel, an island off the Gulf Coast of Florida. We also spend time at Dragonfly Brook Farm in the Monadnock Region of New Hampshire, where our dogs love to hike and chase deer. We are dedicated to the preservation of this rare and beautiful breed. Read more. 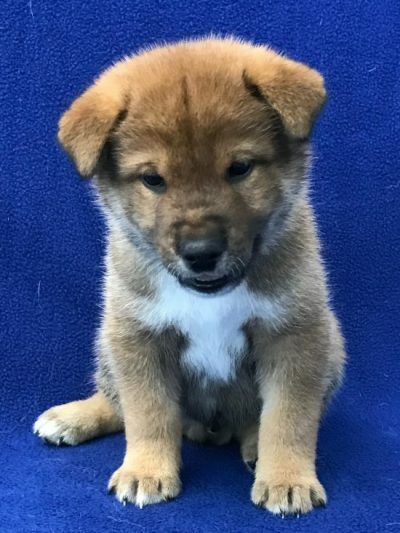 Akitsu Shikoku Ken welcomed 6 pups on January 29, 2019. If you are interested in a puppy from our next litter please fill out our questionnaire.